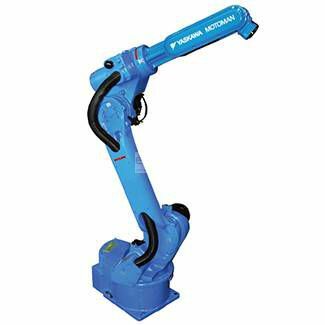 Robot HP20D-A80 is characterized by its versatility and high precision. The accuracy of the path can be 0.1 mm depending on the application. It has an anti-collision system for the control of several robots maximizing production, its thin structure makes it suitable for work in small spaces and can be mounted on floor, wall or ceiling. Equipped with the DX100 controller.